For quite some time Orange City Life has been telling you about Shop Orange Gift Cards. Put very simply, they are a Gift Card that you buy to give to someone as a gift, reward, prize or whatever. You can purchase a Shop Orange Gift Card with a value of between $1 and $1000. The person you give the card to can then use it at over 80 local Orange businesses. They can spend it all at one businesses or at a number of businesses. It works like an eftpos card and can be used over and over again until the amount on the card has been totally spent. One of the most attractive benefits of giving a Shop Orange Gift Card is that all the money is spent at local Orange businesses and we all know the benefits of that. Let us encourage you to include a Shop Orange Gift Card in your gift giving this Christmas, either for a small amount as a stocking filler, a bonus, reward or gift for a staff member or a straight-out gift for a family member or friend. 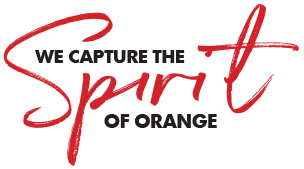 Remember, when you give a Shop Orange Gift Card, you’re helping keep Orange businesses strong and our City great! Who will Strike Gold in Orange? Winners in Our Strike Gold in Orange Competition are set to be determined. This Saturday at 11am in the Summer Centre outside Ashcroft’s IGA, the 20 weekly winners will gather and be given the chance to take home the major $10,000 Prize. At the same time, we’ll draw the winner of our Strike Gold Real Estate Competition. The winner of this will receive return air flights for two people to either Melbourne or Brisbane flying with Fly Corporate. We’ll also draw the winner of our Strike Gold Car Dealer Competition. The winner of this will win $1000 worth of gold items from Regency Jewellers. If you’d like to watch the fun, come along at 11am on Saturday. You never know, we might have a few other prizes to give away among the crowd.